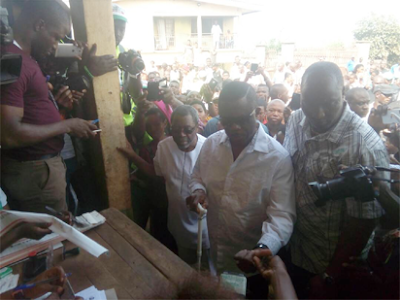 The National chairman of the All Progressives Grand Alliance, APGA, Victor Oye has said that results so far collated from polling units showed that the party’s candidate, Willie Obiano has won the governorship election. He said, “I have a situation room here in my house, and from the results collated so far from the various polling units across the state, we have won. “What I am saying is that nothing short of the results collated from units would be accepted. It is not possible for them to declare a contrary result.